The hollow plastic sound of a Big Wheel rolling down corridors populated by twin girl specters in blue dresses, and the rampant property damage incurred by a tidal wave of blood and reckless axe usage, are the indelible sensory associations with the 1980 Stanley Kubrick film, The Shining – and by extension, with the Stanley Hotel in Estes Park, Colo., that stood in for the fictionally haunted Overlook Hotel . Yet the cinematic Overlook shares less in common with the Stanley than it even does with the Overlook from Stephen King’s literary source material upon which The Shining is based. Instead, as any casual paranormal investigator or ghost story enthusiast knows, the spooks that supposedly frequent the Stanley are as interactive, albeit less murderous, than those of celluloid. The tales make the Stanley one of the most famous North American spectral spots of apparitional appeal; a haunted hotspot where spirits may gather to roam the hallways, play the piano and carry on as if on permanent vacation. Those tales are also what attracted the TAPS team there twice in 2006 for a televised Ghost Hunters investigation and live Halloween event , and for the July 7 Ghost Hunters Academy season finale – as well as several times since for ticketed events. The original episodes yielded amazing evidence that rank among the show’s best and earned the “haunted” seal. Each team member seems to have a favorite part of a Stanley investigation after the shows and events. “The Stanley was one of the big ones we’d always wanted to get to and once we did, it did not disappoint,” says Jason Hawes who says he looks forward to each investigation there – and to pulling pranks on fellow TAPS members if there’s an axe handy. Amy Bruni , who wasn’t on Ghost Hunters during the 2006 season but has led many investigations there, matches the enthusiasm of her fellow team members. But if there are ghosts at the Stanley, they didn’t go away once the cameras turned off or the events ended. Instead, says Stanley’s resident paranormal investigator, Callea Sherrill, visitors and employees who claim to have had interactions with ghosts frequently add more chapters to the paranormal story of the hotel. As recently as last June, the TAPS team of Jason, Amy, Grant Wilson, Kris Williams and Britt Griffith visited the hotel along with Chip Coffey as part of a Beyond Reality Event, and reported continued unexplained phenomena. 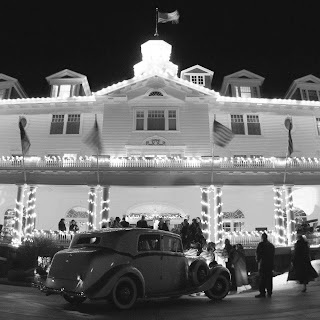 Potential paranormal activity aside, it’s important to appreciate the history of the Stanley Hotel, which stands as a symbol of early 20th century grandeur. Situated in the Rocky Mountain National Forest in Colorado, it is a national landmark that stands as a testament to entrepreneurship and decadence amidst the splendor of Mother Nature. Located on property once illegally-owned by the British fourth Earl of Dunraven, the hotel was built by F.O. Stanley, the innovator of the Stanley Steamer automobile. 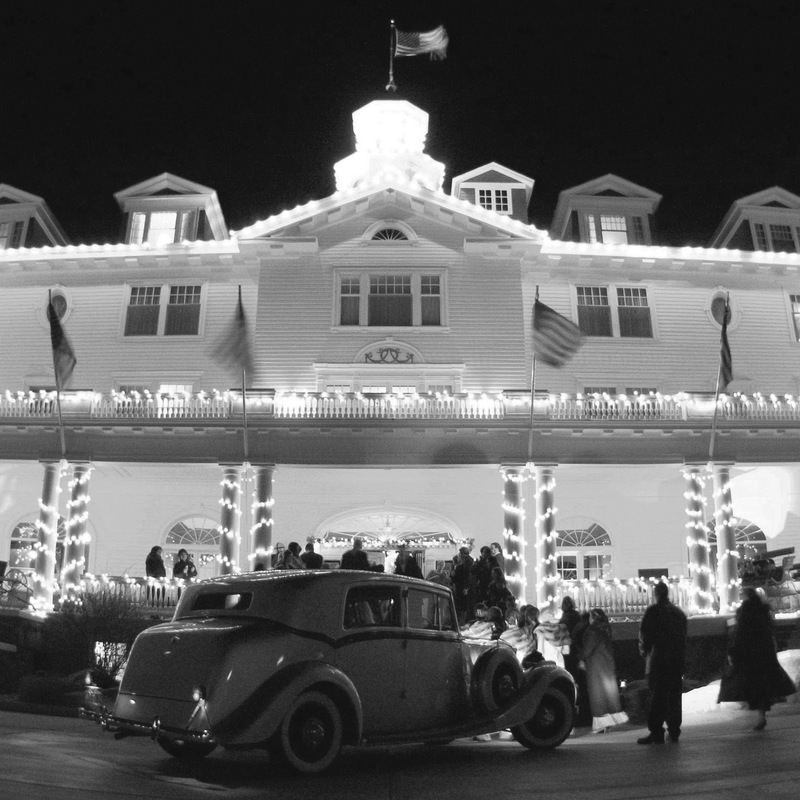 He moved to the area from Maine to alleviate his tuberculosis, and opened the resort in 1909 to give his wife Flora a place to entertain the wealthy. The sprawling hotel with the New England façade featured panoramic views of the Rockies and included modern amenities such as electricity and running water. It became a summer destination for celebrities and notable names like Theodore Roosevelt and John Philip Sousa, but also improved the economic conditions of the surrounding area because of the utility companies F.O. Stanley established for the town. Although the hotel has historic significance, it’s known within popular culture as the inspiration for King’s novel. While living in nearby Boulder, King and his wife stayed at the hotel one night before it closed for the winter season. The isolation they felt as they ate alone in a closed up dining room, and as King roamed the empty halls, allowed him to develop the book’s plot overnight. King didn’t write the novel there, but he did stay in Room 217 in the main building, known for being a nexus of evil activity in the book – and reportedly an actual hub of haunting. According to lore, the area is haunted by Mrs. Wilson (no relation to Grant), a housekeeper who was injured in a gas explosion in the room years ago. She didn't die as a result of the explosion, but she was such a part of the Stanley that some say she sticks around up there. Reports of activity include people either having their luggage unpacked and put away or thrown all around the room – which may happen apparently depends on whether she likes you or not. Yet when TAPS investigated there for the Syfy show in May 2006, and again for the same year’s live Halloween special, it wasn’t 217 that yielded the best evidence. The room is typically considered fairly peaceful by most, and last June there were some reports of anomalous electro-magnetic frequencies detected with the K2. Instead, two floors above in Room 401, there were reports of breathing and thumping sounds last June. The room is located near an elevator shaft, but even if the sounds were misinterpreted, the activity said to be experienced there go beyond the hissing or clunking sounds of a lift. Room 401 is the one Jason Hawes slept in 2006 when the camera trained on his bed picked up the sound of a door opening, followed by another noise. Hawes found that not only had the door opened, but the other noise was the sound of a drinking glass shattering on his bedside table. Meanwhile, female visitors to the Stanley, including those from previous TAPS events, claim to have been touched, pinched or had their hair pulled in 401. Those who choose to sit and investigate within the closet have said they hear a disembodied voice whispering to them. Sherrill attributes this to Dunraven. While he didn’t die on the Stanley property, he may have been so attached to the land that he choice to return posthumously. Sherrill says Dunraven was a lecher, and might decide to haunt this room because the fourth floor used to be relegated to children and nannies, and 401 was a breakroom filled with women taking a break from watching little ones. Additionally, others believe 418 is a focus of activity, with guests saying they’ve encountered full-bodied apparitions there. As if the Stanley’s main building with 100 guest rooms doesn’t have enough tales of resident specters, the restricted employee passageway underneath the structure is a focus of paranormal claims too. And we’ll tell you all about it in part two of our Stanley Hotel TAPS profile in two days.